Names: Nandrobolin 250, Deca-Durabolin, Durabolin. Nandrobolin 250, known as Deca Durabolin, it's one of the safest and effective steroids, and one of the most abused steroids by bodybuilders and athletes. 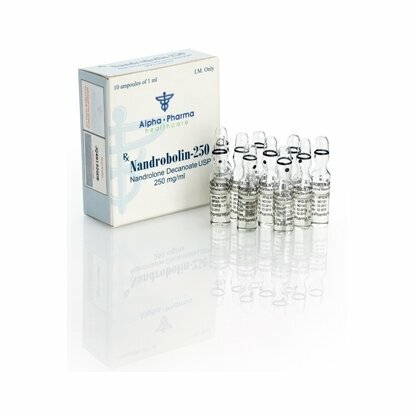 Nandrobolin 250 is a log acting drug, it's possessing androgenic and anabolic activities. At low dosage, it is a powerful anabolic drug, but at high dosage it has more an androgenic effect. 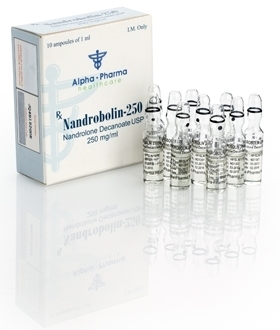 Nandrobolin 250 is an injectable steroid and it should be administered once a week. It increases the muscle mass, stimulates appetite and increases the production of red blood cells. At high dosage, Nandrolone Decanoate is slowly converted into estrogen, that can cause water retention and gynecomastia. To prevent such side effects, bodybuilders often combines Nandrolone with other hormones like Oxandrolone, known as Anavar, Clomed (Clomiphene Citrate) or Human Growth Hormone. At high dosage may occur such side effects: weight gain, acne, water retention, oily skin, tiredness, gynecomastia, testicular atrophy, loss of hair, decreased libido, anger, aggressiveness. The recommended dose of nandrolone decanoate is 200-1000 mg/week for 8-12 weeks. The drug should be injected into the buttock area, don't forget to rotate this zone, because it could provoke abscess formation.